I got to know The Avett Brothers through their album EMOTIONALISM, but I haven’t been able to get excited about anything they’ve put out since that record. What’s going on with them? I would imagine their live shows are still great but on record they seem to have lost some of their magnetic pull. EMOTIONALISM felt full of, well, emotion, and infectious energy – scrappy and soulful, kind of a lovable hillbilly crazy quilt of an album. You know, it’s funny, because I turned the record on again a few minutes ago, but this time I’m listening on my headphones…suddenly it’s better. Suddenly I like this album. Songs that seemed kind of overdone before are now sounding just right. “Live and Die” doesn’t seem kind of whiny and desperate anymore. With a pair of $45 Sennheiser headphones, a high quality stream, and my full attention, whiny and desperate now sounds heartfelt and imploring, with the banjo work and other instrumental details resonating now instead of falling flat. And then comes “Pretty Girl from Michigan” and this time I notice the lyric “You go back to the high life and I’ll go back to the low – I should have known…” And this time the vocals, piano, strings, and plodding fuzzed out guitar work combine for a very Beatles a la Abbey Road flavor. 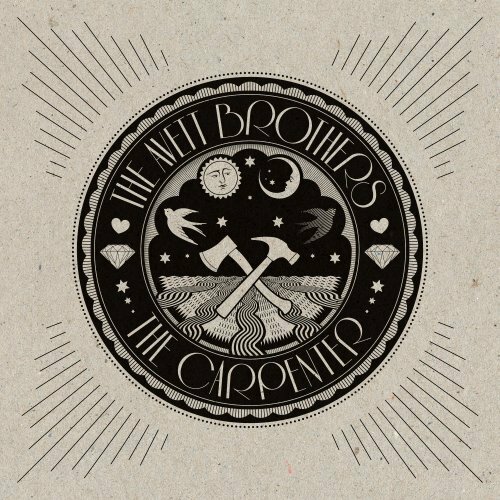 At the beginning of the next track a bit of Avett Brothers banter gets caught on tape – someone says “Roll it just like we been running. Feeling good” Then the band kicks into a high-energy kiss-off number called “I Never Knew You,” loaded with Beatlesque backup vocals and harmonies. Again with the Beatles references, I know, but once I actually paid attention to this album I started to hear and feel the heart behind it – and whether they were happy or sad or high The Beatles had loads of heart – well The Avett Brothers have it too, and I guess I’ll have to work my way back through their catalog now – this time I’ll bring my headphones and I’ll try to pay closer attention. This entry was posted in Album Reviews, You Tube Song Samples and tagged Album Reviews, The Avett Brothers, The Carpenter, The Once and Future Carpenter, You Tube Song Samples on September 14, 2012 by Constant Listener.